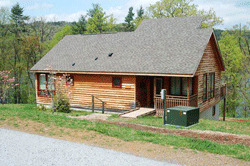 Facilities at the Raystown Field Station consist of the Lakeside Center campus which houses our residential academic semesters and Gove Farm which serves primarily as a retreat center. All facilities are available for rental to the public when not occupied by Juniata programs. 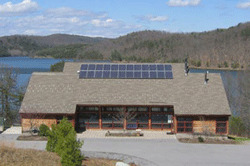 Lakeside Center includes Shuster Hall, a multipurpose/classroom building, and two lodges with 14 beds total. Shuster Hall is a LEEDs certified green building. Perfect for meetings and retreats, the upstairs is a large open room with comfortable seating at tables for 60. There is small kitchen for anyone to use, and a commercial kitchen with catering services as an option. For more information about food service, please see our Shuster Halls FAQs. The downstairs is a classroom/lab facility with a projector, whiteboard, and seating for about 20. Davis and Robison Lodges provide comfortable modern housing, with each lodge having a complete kitchen. The lodges function as dorm space for the residential semesters, and are not equipped with bedding. These facilities can be rented with or separate from Shuster Hall. 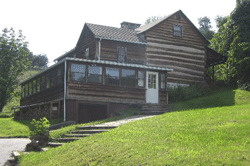 Davis Lodge can accommodate 6 persons and Robison can accommodate 8 persons. 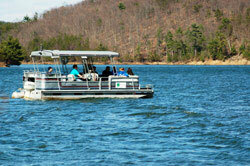 A recreational area by the lake with a picnic table and fire ring, provide users lake access. For more information about swimming and boating opportunities, please see our Recreation Area FAQs. 18th century farmhouse that is an excellent location for retreats, classes, or a weekend away with the family. This farmhouse has a fully equipped kitchen, showers, and a 20-person enclosed porch. Our daytime use capacity for the facility is 35 people. Overnight accommodations include four bedrooms (10 beds) and camping space. The house is in a lovely remote location, with hiking trails and the lake nearby. 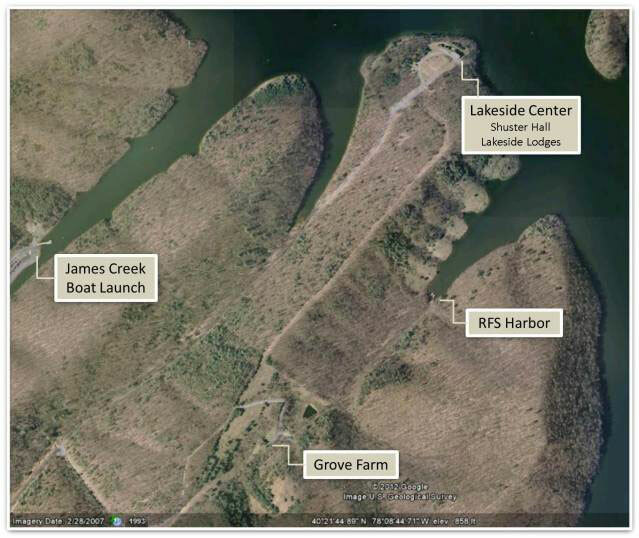 Juniata College's 365-acre Raystown Field Station is situated on the James Creek branch of Raystown Lake near mile Marker 13.